Many of the tips and tricks that I talk about (or want to talk about) on this site require the Developer Ribbon Tab. Find out how to turn it on, and what good it will do you! 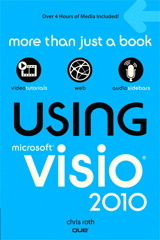 Too many options in Visio 2010? Having trouble finding the setting you need? We’ve published a list of all the commands in Visio 2010’s Backstage/Options area so that you can quickly SEARCH for just the item you need! 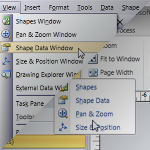 Visio SmartShapes don’t aren’t just for enhancing your Visio diagrams. They can be put to work as tools too! 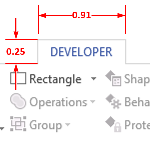 Find out how such a Shape Tool can help you navigate multi-page Visio documents with ease! 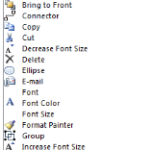 Menus to Ribbons: Find Commands in Office 2010! WHERE THE HECK IS MY MENU COMMAND? This phrase has echoed across the globe ever since Microsoft introduced the ribbon user interface and increased our productivity! No, wait! It’s already here! 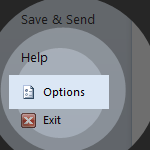 [Read more…] about Menus to Ribbons: Find Commands in Office 2010! 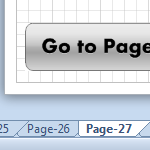 Visio 2010’s Ribbon interface is very customizable, but it can be tricky finding the command you need. We’ve published the complete list of commands in this article so that you can easily search the list!